Last weekend I went to the Ancient Bristlecone Pine Forrest in California. It’s a unique place in the White Mountains that looks over the valley to the Sierra Nevada Mountain Range. Within this forrest are ancient trees. Some of the trees in this area of over 4000 years old. Some of the carcasses of these trees strewn among the living are over 10,000 years old. These trees have survived and thrived through fires, storms, earthquakes and humanity. They persisted. These ancient patriarchs are a living testament to how life persists in the midst of difficulty and how difficulty shapes that life. For those of us with vitiligo, these trees can serve as a reminder or timeless principles. These trees survive and thrive because of the dirt where they grow and their character. The bristlecone pine grows in many other places. But in this patch of dirt in the White Mountains and in other such places around California and the southwest US, these trees grow slower and stronger and longer than anywhere else. Why do the live so long? Because they have to. Because a unique set of circumstances produces a unique environment that this tree can thrive in, but thrive slowly. These trees growth 1/100th of an inch per year. And they grow strong. The wood from these trees is incredibly strong. It’s a beautiful picture of how life can thrive and overcome difficult environments. A people with vitiligo we have some challenges. 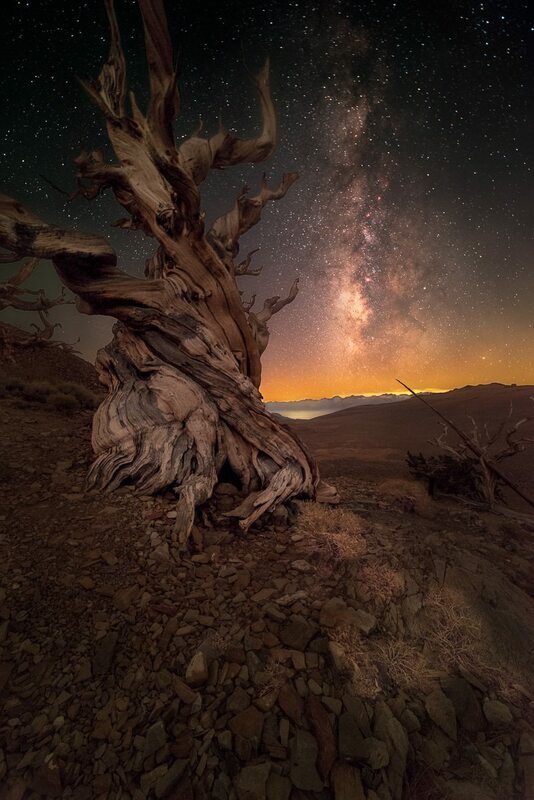 But if we learn from the Ancient Bristlecone Pines we can survive and thrive long into the future and leave behind and example of how to live. Challenges are opportunities. How we approach the challenges in our lives determines our success. Too often with vitiligo I hear people that want to get rid of vitiligo, which is understandable. Perfectly understandable. But we can’t always control our environments. We need to adapt to them. And in learning to adapt we find our strength. And when we find our strength we are unstoppable. Blogger, Marketing Nerd, History Buff and Foodie. Wonderfully written. Thank you Keith.